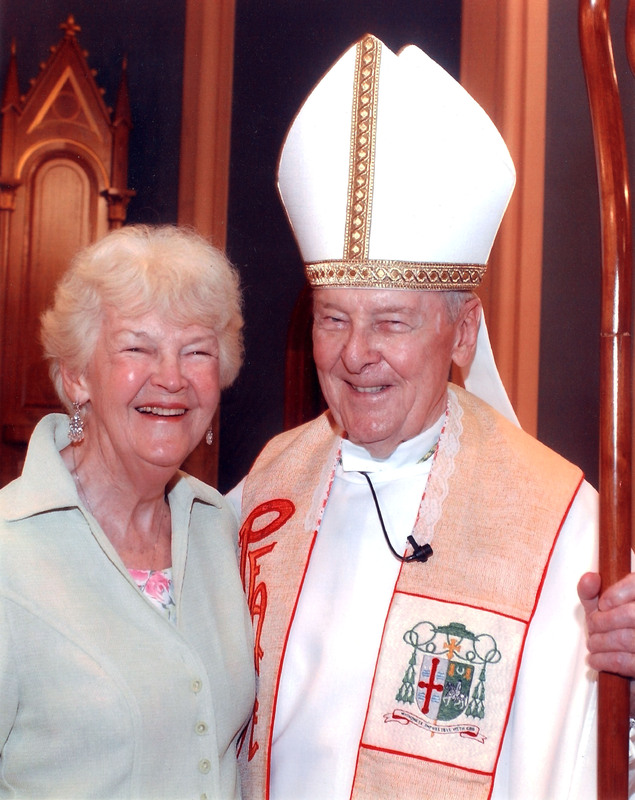 On Sept. 4th, our beloved Bishop Joseph F. Maguire will celebrate his 91st birthday! 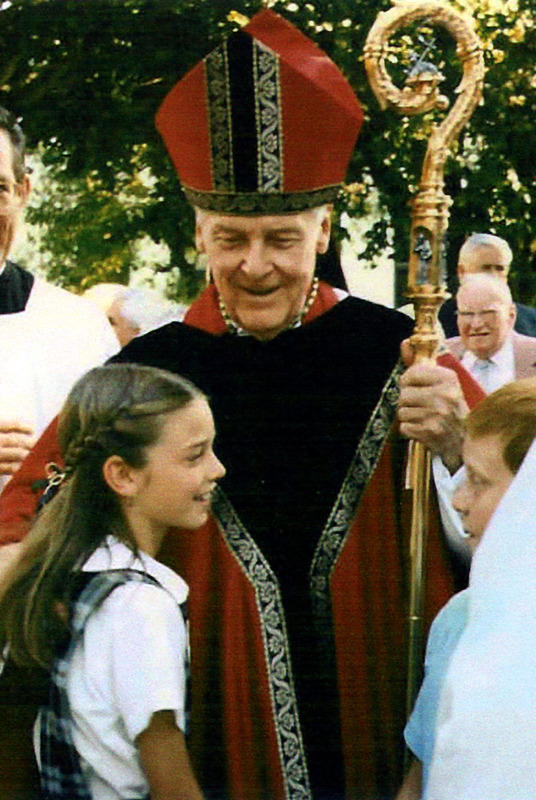 On Sunday, Sept. 5th, “Chalice of Salvation” will air an interview that was conducted with Bishop Maguire in 2009, when he turned 90. Tune in at 10 a.m. on WWLP-TV22. Our good Bishop Emeritus is known for many things. 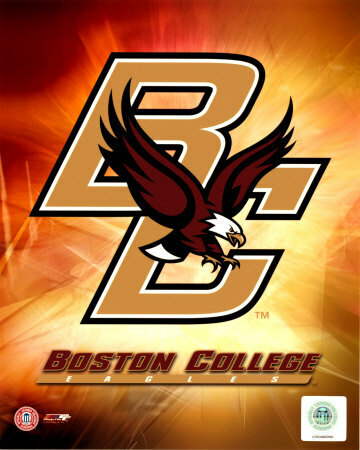 He was a standout athlete at Boston College and is even in their Athletic Hall of Fame. Yes, the people in the eastern part of the state love “our” Bishop Maguire, too. 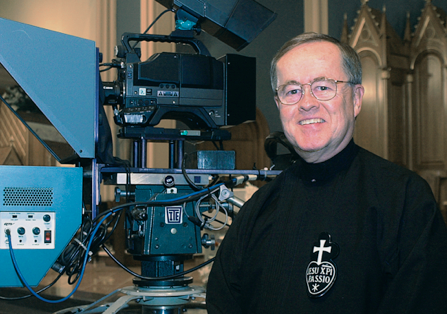 In my more than 26 years as a reporter for Catholic Communications, I have met so many people who break into a smile when they hear Bishop Maguire’s name. Many have a good story to tell about his kindness or sense of humor. Others talk about his incredible memory for names. Personally, I admire the great devotion and affection he has for his sister, Grace Waystack, and her family. Bishop Maguire and his beautiful sister, Grace. I also admire his love for children. It just shines through when he is around little ones. 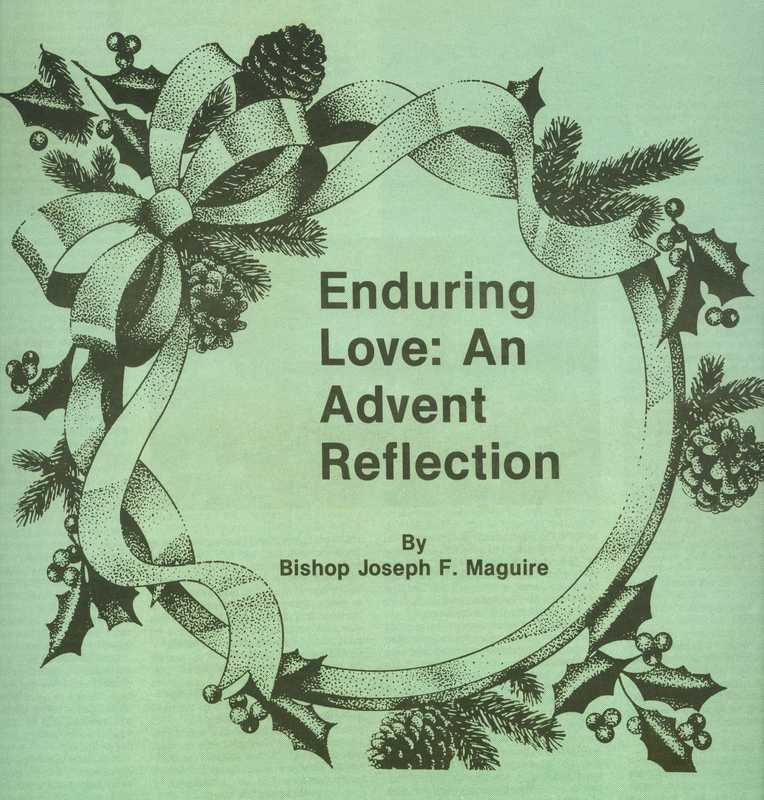 I also appreciate the genius he showed when he wrote his pastoral letter about keeping Advent a sacred time in preparation for Christmas. 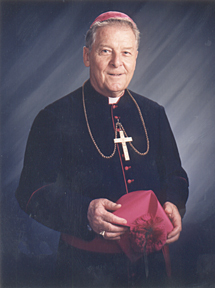 I have been blessed to have the opportunity to interview Bishop Maguire several times. He has always been gracious and kind and a true gentleman. One of my favorite memories of Bishop Maguire was when I was walking from our Elliot Street offices to downtown Springfield. I was taking my children to Johnson’s Bookstore on Main Street. A car slowed down on Edward Street and pulled next us. At first I was a little scare and then saw it was Bishop Maguire and Joe Boudreau, his driver. They chatted with us and then Bishop handed each of my three children a few dollars to get a treat at the bookstore. My kids were thrilled. Even at their young age, they no longer had grandfathers so this kind act was “grandfatherly” and very much appreciated. 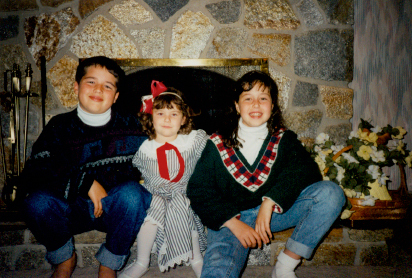 To this day, my “kids,” who are now 22, 26 and 28, remember that sweet moment. I am sure many of you have a great Bishop Maguire story. Feel free to e-mail it to me at p.weber@diospringfield.org (with or without a jpeg picture) and we will try and post it. It certainly is one great way to celebrate a great man’s birthday!! Now if only the Red Sox could start winning for him!!!! 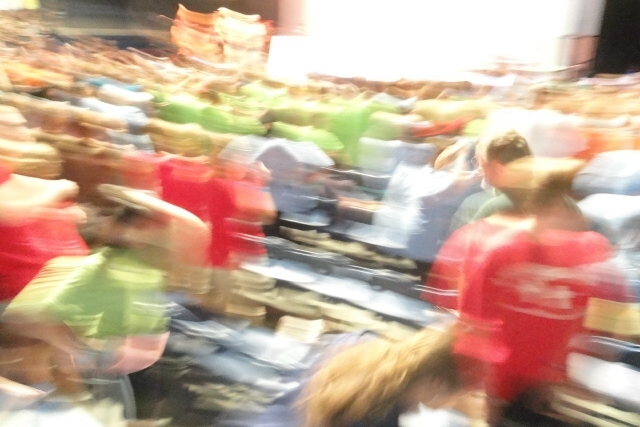 On Friday, 23 July 2010, the youth of Saint Mary’s in Westfield embarked upon their yearly pilgrimage to Steubenville East. No longer hosted by the Lasalette Community of Attleboro, MA, we departed on a rainy afternoon for southern Rhode Island. 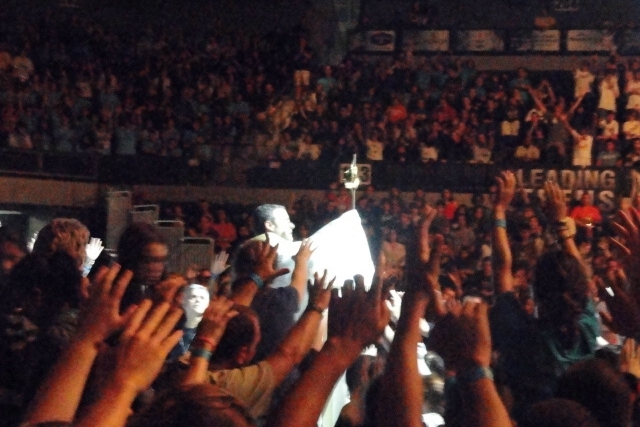 This year’s gathering was held at the University of Rhode Island, Kingston, and led by LifeTeen International. The campus is large and beautiful. Most everyone (staff and visitor alike) treated us with respect and warmth; we were grateful. After a long and tedious drive (we became lost three times), our group of 15 teenagers and 5 chaperones arrived in time for a quick supper. Saturday morning came quickly for most! Yes, the comatose kids shown below belong to us . . . . After a tasty and hearty breakfast, we returned for further talks and social activities. In the afternoon, dozens of priests (me included) heard Sacramental Confessions for a span of four hours. God’s grace is alive and active among the young – Alleluia! In the evening we had another round of live music and meaningful talks. The spiritual “witnessing” to Our Lord Jesus Christ occurred by the single and married alike; young and old; female and male; formally as well as spontaneous. It was great! Afterward, before going our separate ways, we gathered for mutual conversation – and life-giving prayer! Similar to Catholic Parishes throughout the world, on Resurrection Sunday, we gathered for a dynamic Celebration of Holy Eucharist. 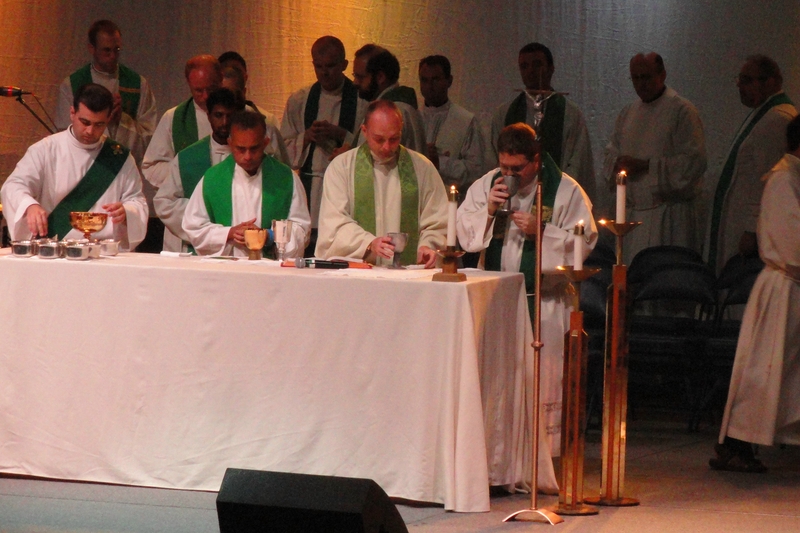 We hoped the Bishop of Providence would join us like he did last year, yet this was not to be. No hard feelings. We lovingly prayed for Bishop Tobin during Petitions as well as during Sacred Consecration. After a hearty outdoor lunch, we departed for Westfield. Ever mindful of the needs of others, our chaperone Margarita Soto suggested a pit-stop for ice-cream. Agreement was unanimous! Westfield would have to wait another hour or so for the return of her beloved children . . . . 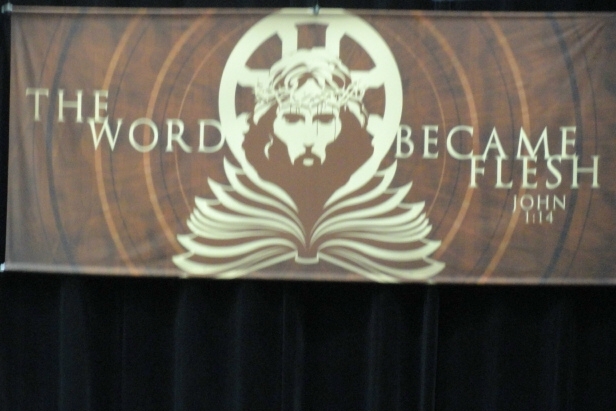 This year’s spiritual theme for Steubenville East was: “THE WORD BECAME FLESH” (John 1:14) What will it be next year? In the adorable Holy Spirit, let’s start planning and find out together . .. 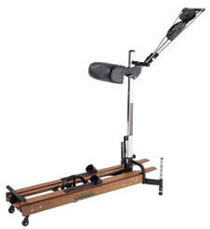 I was huffing and puffing and swinging my arms and legs while “skiing” on our exercise equipment. I was flipping through television channels to take my mind off the fact that I didn’t want to be gliding along to nowhere. 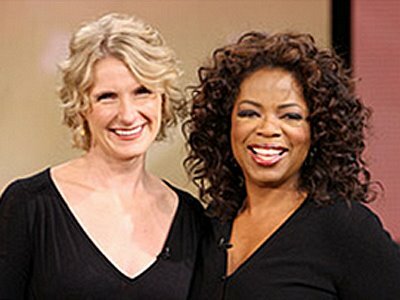 The Oprah Winfrey show was on and she and all of her audience were in awe of Elizabeth Gilbert, the author of Eat, Pray, Love. I only caught the end of it but I was intrigued. I thought, hey I like to eat and pray and love. I should check this out. I reserved the book at my local library and jumped into the pages with great anticipation. After just a few minutes I began to wonder – what does everyone see in this book? Am I the only woman in America – perhaps the world – who dislikes this book intensely. Evidently, Julia Roberts and I do not have the same reading taste. I read the first few chapters as Gilbert explained why she was walking away from her husband. She was restless, it seemed. And she was breaking this man’s heart. Oh well. She had pledged herself to this man but only in sickness and in health –not in boredom. Of course, she is off to develop a relationship with another man – an actor. As I was reflecting on this Eat, Pray, Love phenomena, (there are 400 products being offered on the Home Shopping Network) I came across this quote on the Catholic Digest web site. 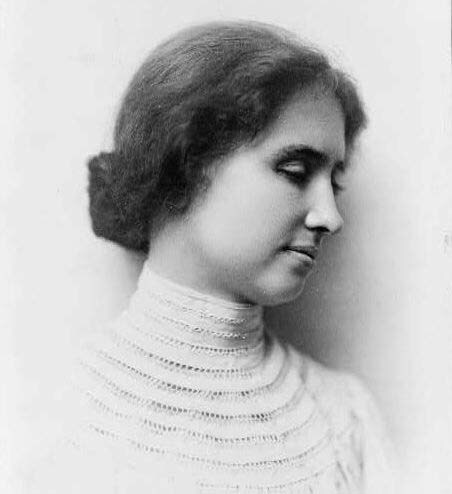 It is from Helen Keller. That is a sharp contrast to Gilbert. In excerpts from the book on Gilbert’s web site and she writes about how she does not want to be married or have a house in the suburbs or have children. I respect that, however, her oh-so-clever line about children reveals much. That sentence was like fingernails on a chalkboard to me. Having children does not end life! She seems to think that people with children never get to travel or write or have adventures. Ugh!! Just get a new haircut! 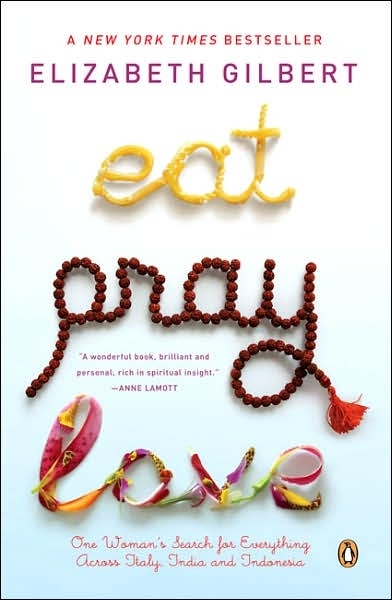 I think if you look up the word self-absorbed in a dictionary you find the book cover to Eat, Pray, Love. I think it is good to examine one’s life. I think it is good to make some positive changes. However, I look to women like my mother and grandmothers who were faithful, faith-filled women who worked hard and loved their families. 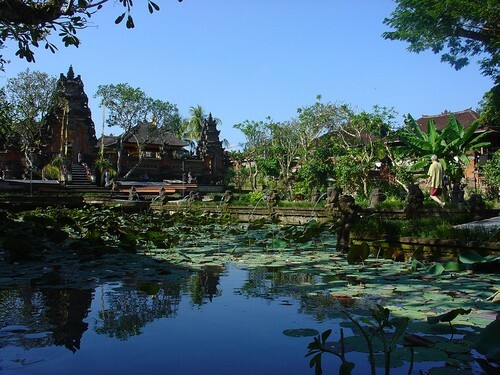 I don’t have to go to Indonesia to wonder about how I should live my life. 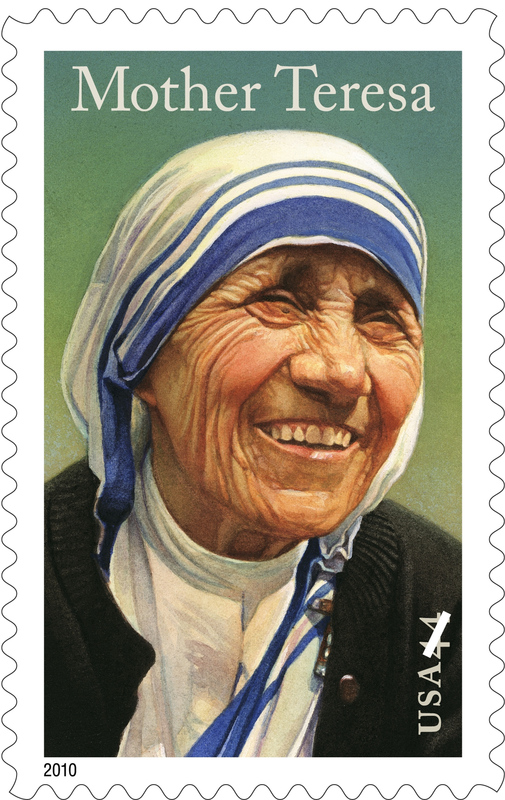 The centenary of the birth of Blessed Mother Teresa of Calcutta is August 26, and Time magazine has just released an illustrated book on the woman who is in in process of moving toward sainthood in the Catholic Church. 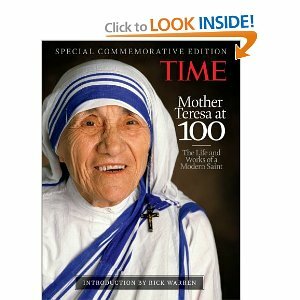 Titled Mother Teresa at 100: The Life and Works of a Modern Saint,the book includes essays by some who knew her, including the Protestant pastor Rick Warren, Jesuit Father James Martin, Susan van Houte, who was adopted as an infant from one of Mother Teresa’s residences for expectant women in Calcutta, and Father Brian Kolodiejchuk, MC, a member of the priests’ society of Mother Teresa’s order, the Missionaries of Charity. Father Kolodiejchuk is official promoter for her sainthood cause. 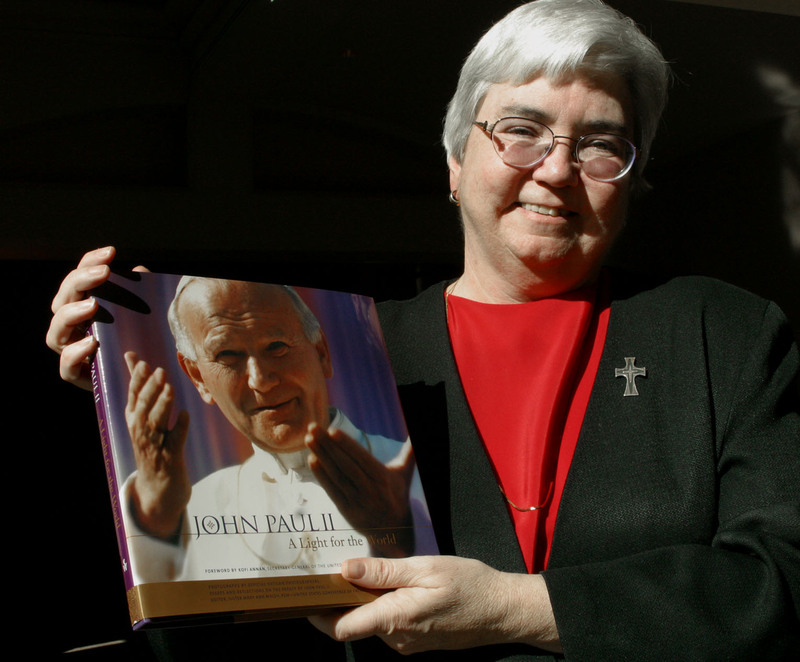 I was perusing the book the same day I read a news report that the Baltimore Archdiocese had just sent Rome materials for the sainthood cause of Father Patrick Peyton. 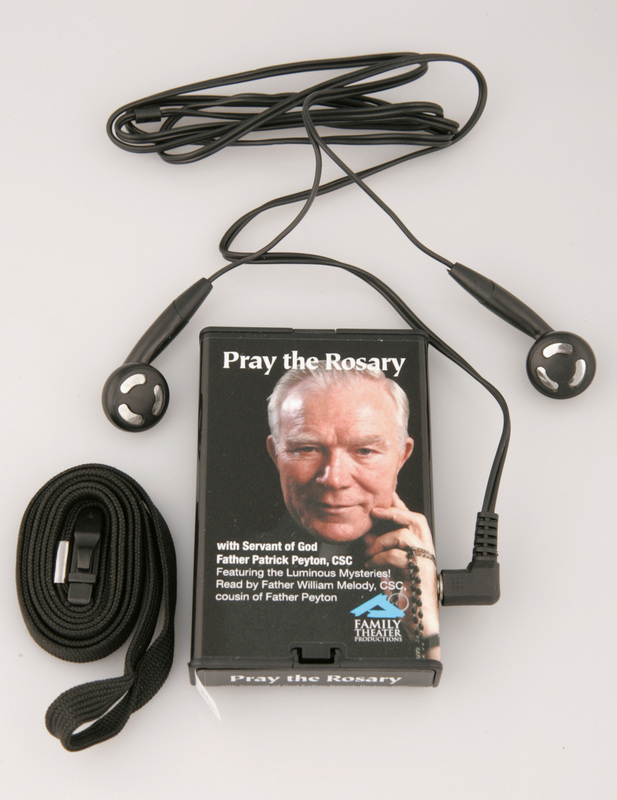 Father Peyton was the Holy Cross priest who marshaled radio and TV stars to promote the rosary and family prayer, first in the United States and then throughout the world. 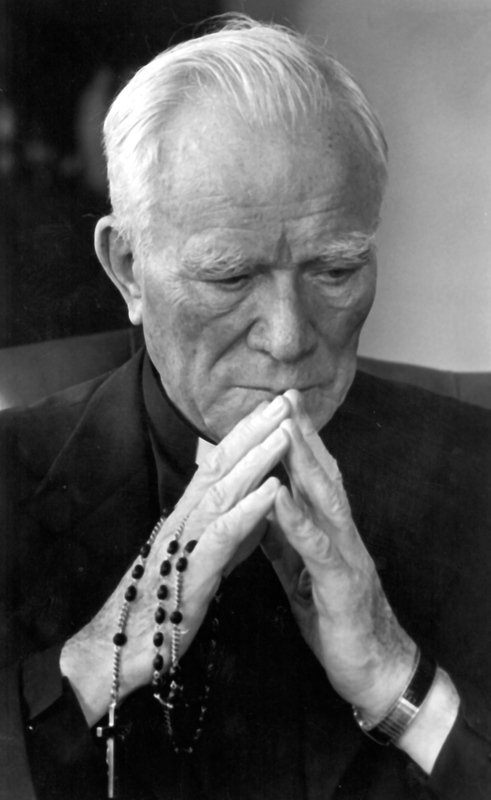 Materials from Baltimore included reports of healings through his intercession that, if accepted by the Vatican, would mean we’ll soon be speaking of Blessed Patrick Peyton. I was lucky enough to personally meet each of them. Both had a beguiling charm. The diminutive nun made the richest of the rich know that the poorest of the poor were around them. The Nobel Prize winner drew the admiration of President Ronald Reagan, Queen Elizabeth and Princess Diana. Former California Governor Jerry Brown spent time working with her in Calcutta. 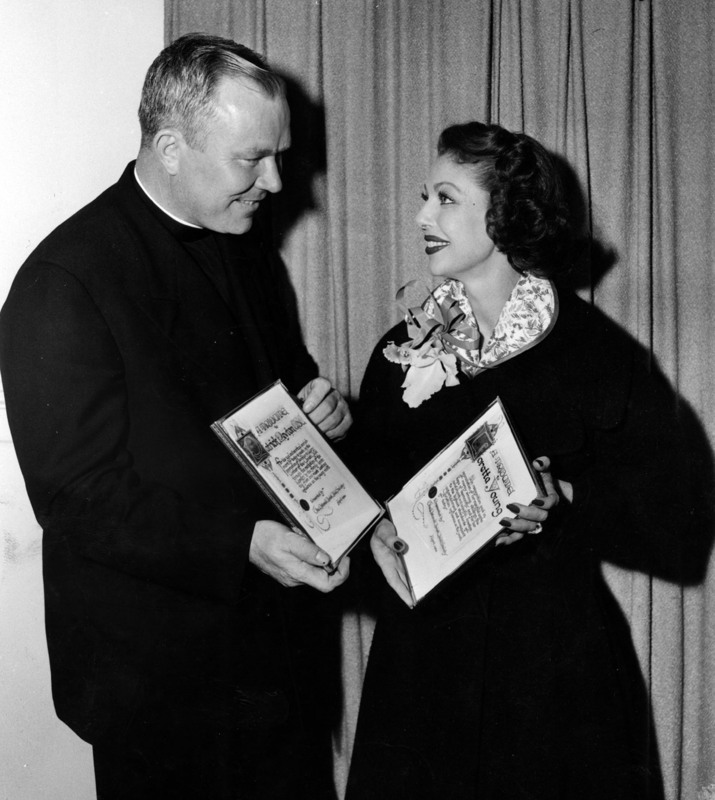 The tall, Irish-born Father Peyton befriended Hollywood mega-stars, from the crooner Bing Crosby to the starlet Loretta Young and got them and other show biz folk to work for Family Rosary and Family Theater. They helped shape his messages: “The family that prays together, stays together” and “A world at prayer is a world at peace” that were staples of posters and billboards in post-World War II society. Yet charm alone was not the secret of their success. Each one was rooted in an intense, real, yet other worldly, relationship that grounded them, Mother Teresa with Jesus, and Father Peyton with the Virgin Mary. The relationships began to intensify when they were young adults and they focused everything they did on these relationships for the rest of their lives. 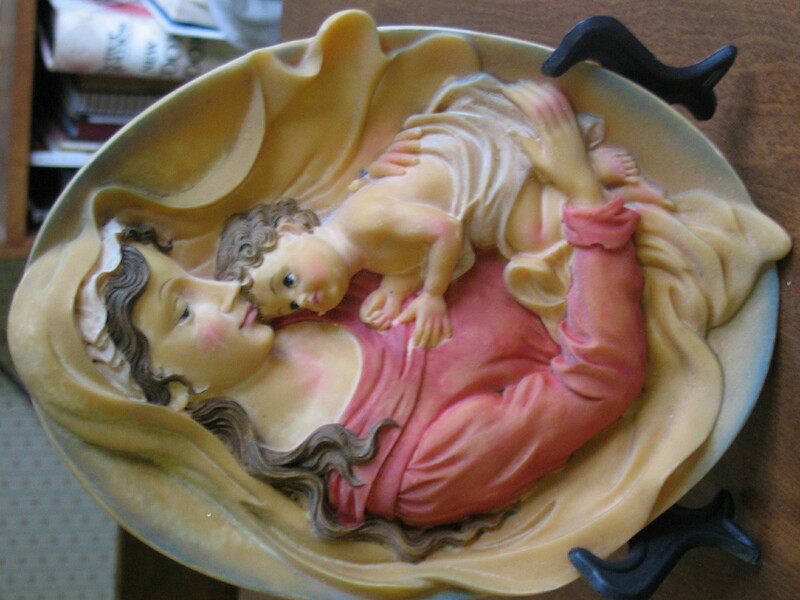 Mother Teresa spoke of Jesus and Father Peyton of Mary as if they were standing by their side. I think they were. I interviewed Mother Teresa a few times. She was a hard interviewee because she did not say much and repeated her message to love Jesus over and over again. It was a challenge to get 300 words for a newspaper article out of her. But I’d leave the interview knowing I had a message to deliver. I knew Father Peyton better because his headquarters were in my hometown, Albany, New York. He was more loquacious than Mother Teresa but his message was always the same, the power of prayer to Mary. After each encounter I’d feel I had a special commission from God Himself to spread devotion to the Blessed Virgin. Both Mother Teresa and Father Peyton touched people deeply, but their impacts went beyond impressing them with their accomplishments, many as they were. 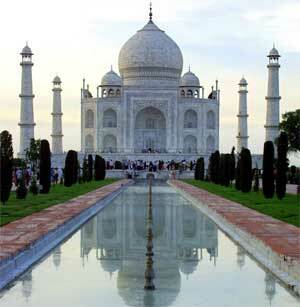 Each was a mystic who glimpsed the divine and then radiated holiness without their knowing it. It wasn’t something they spoke about specifically. 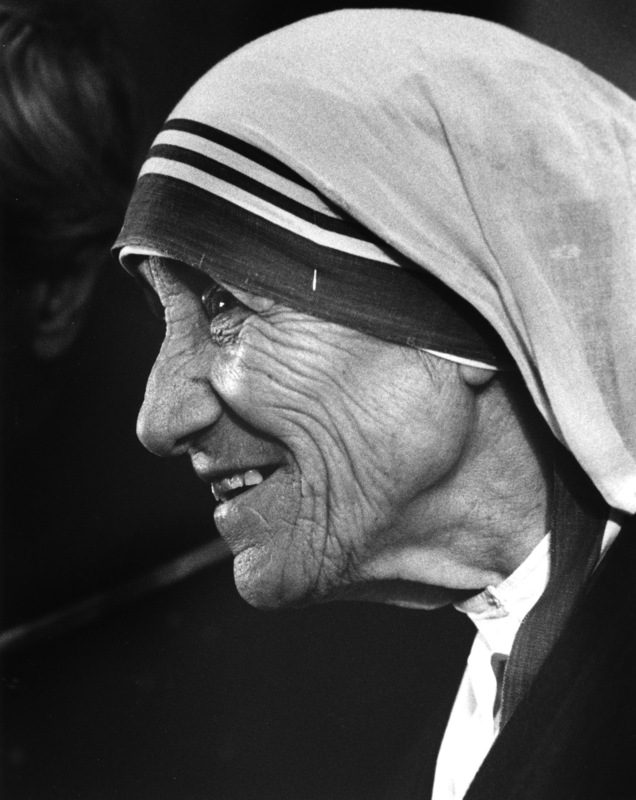 Mother Teresa and Father Peyton were gifts to the 20th Century and proof that holiness can be within our reach even or because of the chaotic world in which we live. 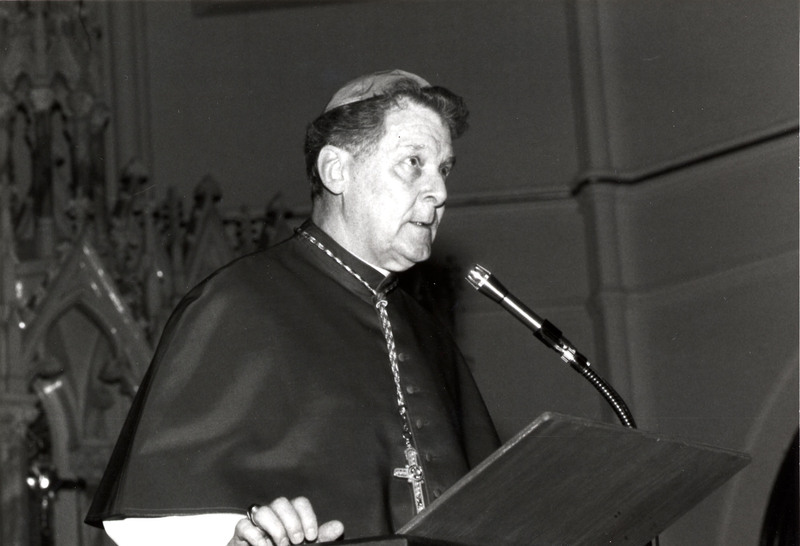 Photos from Catholic News Service. What would you think if we told you we received a gift 25 years ago on our wedding day, but hadn’t opened yet? Many of you have a gift just like this, but may not realize it. 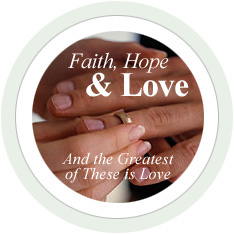 The gift represents the many graces of the sacrament of matrimony that Jesus is willing to give us. The catch is, we have to be willing to open ourselves and our relationship to this gift. This is what the Worldwide Marriage Encounter weekend is all about; opening and discovering the many gifts of our relationship. In our marriages, the first gift we have to offer each other is a weekend to just be by ourselves. When was the last time just the two of you got away for a weekend? A weekend without the interruptions of kids, the telephone, TV and all the other responsibilities of daily life? A weekend for just the two of you to spend time together? This is one of the gifts of the Worldwide Marriage Encounter Weekend. The second gift is improved communication. On the weekend we learned a new method of communication. This communication technique helped us get back in touch with the couple we were when we were first married. We have grown in our understanding, love, and respect for each other. When we went on our WWME weekend, we learned to communicate better than we had in our previous 11 years of Marriage. The third gift is a more open and loving relationship. We have found that this gift also extends to our friends and family and parish life. We are much more loving and compassionate in our day to day interactions. We are learning to listen better to one another and this has carried over into all other aspects of our lives. When we really take the time to listen with our hearts, we open ourselves to new possibilities…for our relationship…for our family…for serving God and others in our everyday lives. 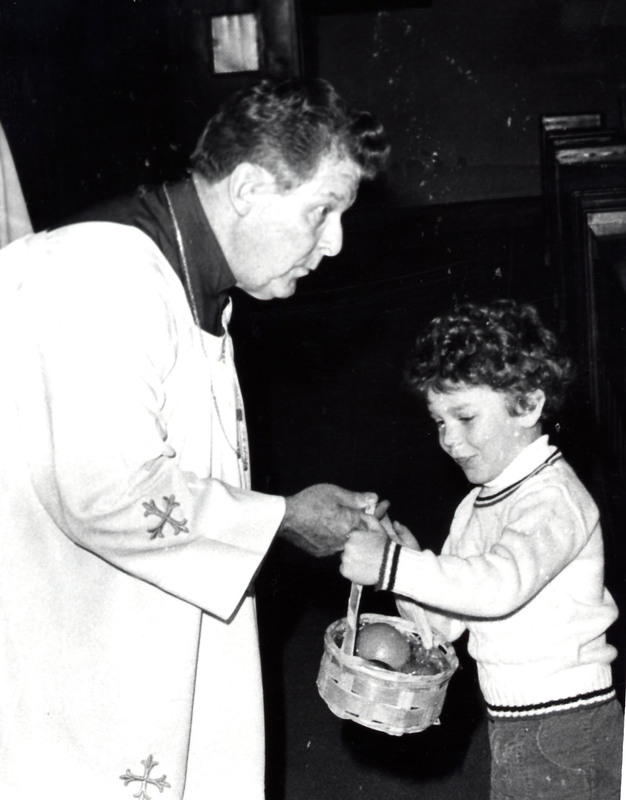 An attitude of openness has given us opportunities to teach religious education to the youth of the parish, serve as EME’s or lector at mass and support friends and family during difficult times in prayerful and practical ways. In the same light, our attitude of openness has taught us to accept the love and care offered by others when we are going through tough times….and the good times are twice as happy when we can share then together. What a joy to know we are not alone! 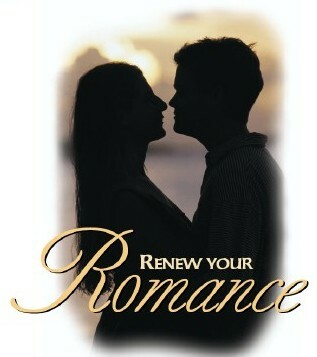 Another gift of the Worldwide Marriage Encounter Weekend is rediscovering how special you are as a couple. 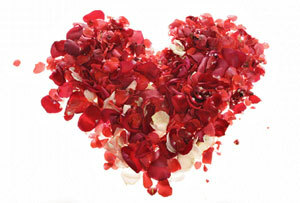 On our Weekend, we began to see that instead of being ordinary, we have a very special love. We had some reservations about going on the weekend, because we weren’t sure what we were getting into. Ray and I are private people and we didn’t want to have to share our personal experiences with anyone. We can honestly say that there were no group sharings. The weekend was a private experience between the two of us. 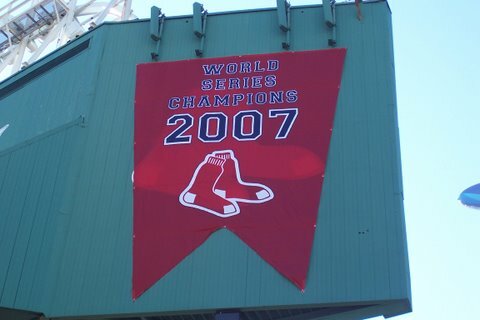 Perhaps you think like we did before our weekend. Our marriage is good. Why does it need to be better? We’d have to say; You don’t necessarily need it, but you deserve it! Simply put, even beautiful stones shine with new radiance when polished. You may be amazed at what you discover! For us, the weekend brought us closer together than we had ever imagined. Whether you have been married one year or fifty, a Worldwide Marriage Encounter can rekindle that “just married” feeling. We just celebrated our 25th wedding anniversary, and because of the journey we began on our WWME weekend 14 years ago, we are happier today than when we were newlyweds! 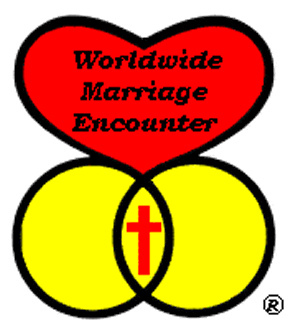 Imagine what a Worldwide Marriage Encounter weekend can do for you! This September we’d like to invite you to attend a weekend of discovery for just the two of you, right here in beautiful western Massachusetts. 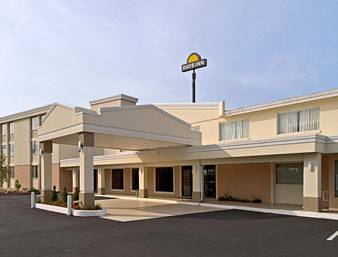 The September 24-26, 2010 WWME weekend will be held at the Days Inn on Memorial Drive in Chicopee, MA. It’s a weekend you won’t want to miss! Call 1-800-710-WWME or log onto www.wwmeMA.org.